Olaplex, where were you in 2013 when I decided to lighten my hair to almost platinum? I loved the color, but I had to go a little darker blonde because of the bad breakage that was happening. But Olaplex is here now, and it's helping to repair my hair again. Thanks to its miracle ingredients, I have high hopes of going blonder again in the future. NaturallyCurly already has an excellent article explaining what exactly Olaplex is here I simply wanted to share my experience with you. Since Olaplex launched in 2014, it has taken the haircare industry by storm. Amazingly, Olaplex eliminates that reaction. When the hair is colored, the hair bonds break. 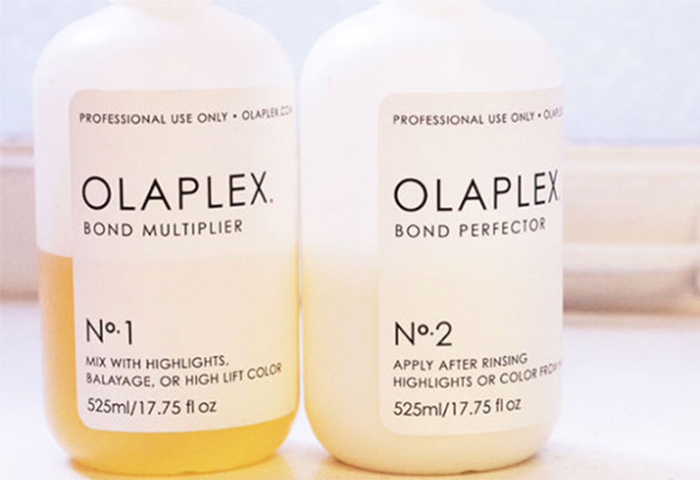 Olaplex maximizes the strength of hair by reconnecting broken disulphide sulphur bonds in the hair. Olaplex has been a consistent NaturallyCurly Editors' Choice winner, and numerous companies have tried to create copycat products. 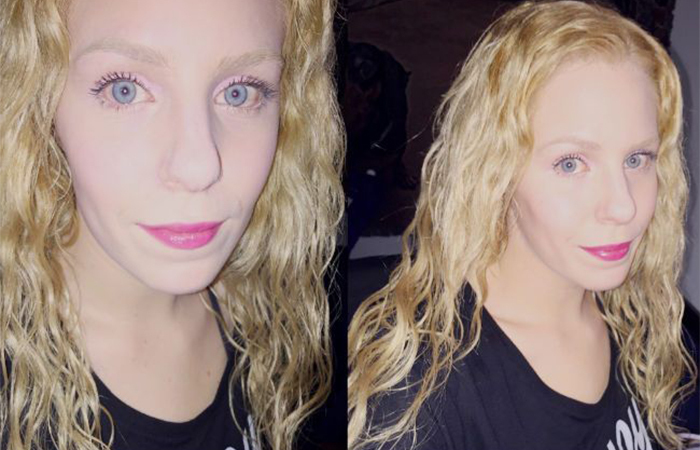 In this article, Diane Mary shared her first experience with Olaplex when it came on the scene. She continues to be a big fan. I recently switched to a new salon that offers Olaplex. I have gone three times so far for color services. They are a L'Oreal based salon and color my hair with L'Oreal Inoa, an ammonia-free hair color that is supposedly super gentle on the hair. Bonus: it contains oils to help nourish your hair at the same time and feels gentle. The hair growth I have with this color versus the older lengths of my hair with bleach looks and feels significantly better. Because this hair color is so gentle, my stylist if I needed to use the Olaplex with it the first time. Seeing all these amazing testimonials online, I knew Olaplex and my hair were destined to be BFFs. When I went back for more color, I learned that my stylist learned more about Olaplex. Because I am no longer using bleach in my hair, she said she didn't need to mix it with the color they use. My hair just didn't feel like my hair and I mean that in the best way, possible. My stylist used Olaplex as a treatment prior to my color service. She applied the No. 1 Bond Multiplier on my hair, letting it sit for 5 minutes. She then applied the No. 2 Perfector right on top and let them sit long enough to penetrate into my hair. After she rinsed it all out, she lightly blow dried my hair follow by color application. Because my hair is so damaged, I always ask for a L'Oreal Absolut Repair Power Dose deep treatment after the color as well; it costs more but it is good hair insurance. My stylist says those with hair not quite as damaged as mine wouldn't need deep treatment with the Olaplex. Once I received the Olaplex treatment, I noticed such an incredible difference in my hair. My hair just didn't feel like my hair and I mean that in the best way, possible. It felt softer, smoother, had less frizz, and went above and beyond anything I had ever bought before! What I also noticed is my hair seemed to be "shedding' less for the days following. Because I get my hair blown out when I get my color done (it's nice for a change in Winter. Warmer months I let it air dry) and I brush my hair while in the blow out, I see less hairs in my brush than usual so I believe the Olaplex is already leading to less breakage. Part of the Olaplex system is also the No. 3 Hair Perfector which is a take home treatment to use once a week between salon visits. This is basically a diluted, one step version of what you get in the salon, but still incredibly effective. My stylist didn't have to tell me twice that this was a good idea for me to buy. The directions on the bottle say to leave it on for a minimum of 10 minutes, but longer is better after shampooing. The two times I used it so far, I left it on an hour. She also said I could sleep with the treatment in my hair but right now it's too cold for me to do that- but I will come Summer. The No 3 treatment is small, only 3.3oz but it is so concentrated! I only need about 6 quarter size dollops- I apply it in 6 sections (1 per section) combing it through my hair while massaging it in. My stylist said not to use the Olaplex more than once a week because it can be overkill, so I am listening. I only wash twice a week anyway. But the more I use the treatment, the better and better my hair is becoming. My ends are less fuzzy, my hair overall is more manageable and I am starting to get some nice wavy curl definition back. My hair seems to be air drying a little quicker too. Also, it my hair just has this shine and brilliance to it that I didn't think I would ever have. I look forward to continue use of the Olaplex treatment so I can grow out the parts of my hair that have severe breakage and my hair could be thick, full and beautiful again. Thanks to Olaplex too, I may try to be able to successfully achieve lighter blonde hair in future with the added insurance of knowing my hair hopefully won't get severely damaged again. I'll see, right now my focus is on hair health and regrowth. I wish Olaplex was around when I lightened my hair the first time so I wouldn't be dealing with the breakage issue. Have you tried Olaplex for your wavy, curly, or coily hair? Let us know your thoughts in the comments below. This article was originally published in 2015 and has been edited to incorporate updates.